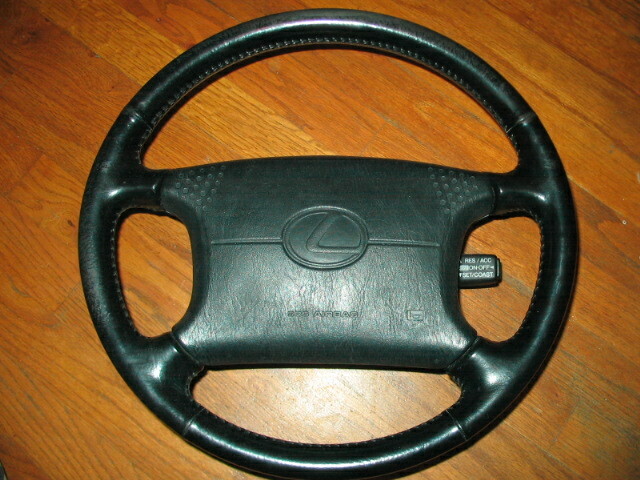 Black IS300 Steering wheel + Black SC Steering wheel for sale. 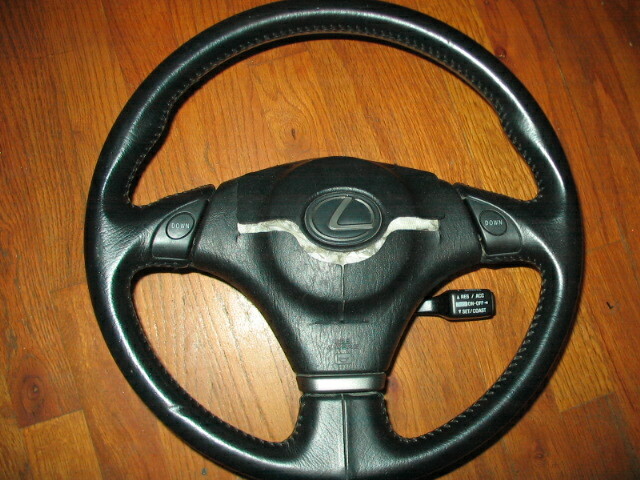 I have a black is300 steering wheel for sale. The airbag blown on this one, but the airbag cover can be repaired by a pro or you can DIY. The steering wheel itself has some minor to normal wear due to usage. Came off of a 01 IS300 w/ E-shift. $145 shipped. I also have a black SC steering wheel for sale also, it has some wear on top of the steering wheel but the airbag is in mint functional condition. I'm guaging interest on this item since I do not have the wheel physically removed from my car yet. I will ship once my new steering wheel arrives. Due to it's scarcity and demand for this particular item. It's for sale for $185 shipped. All prices are firm. Please no lowball offers. Paypal must add 3% to the price. Other payments will be accepted as well (Money orders, Checks..etc) Trades of equal or greater value also accepted. If you personally have a problem with the prices, please e-mail me or pm me. DO NOT post stating that you can find one of these particular items at a lower price. If you can find one for cheaper, do yourself a favor and buy it!! Last edited by One HoT; 01-24-06 at 10:47 AM. nice wheels! i personally have the is300 and it feels great and sporty !!! someone get any of these wheels....good buy !! One more week before I throw these on ebay..
Wow, so much talk in the forums about everybody wanting to get IS300 wheels and nobody taking this deal? Shows that SC forums is allllll talk, all day long. Dennis, what you going with now..? dennis, is the IS wheel still available? They are, it happens all day long here, supra forums too, I see people who say they want it, pm sent, and then the author 2 days later is posting still for sale..